Girl is NOT a 4 Letter Word: Brighton Zeuner To Be The Focus Of A New Documentary Film. Brighton Zeuner To Be The Focus Of A New Documentary Film. 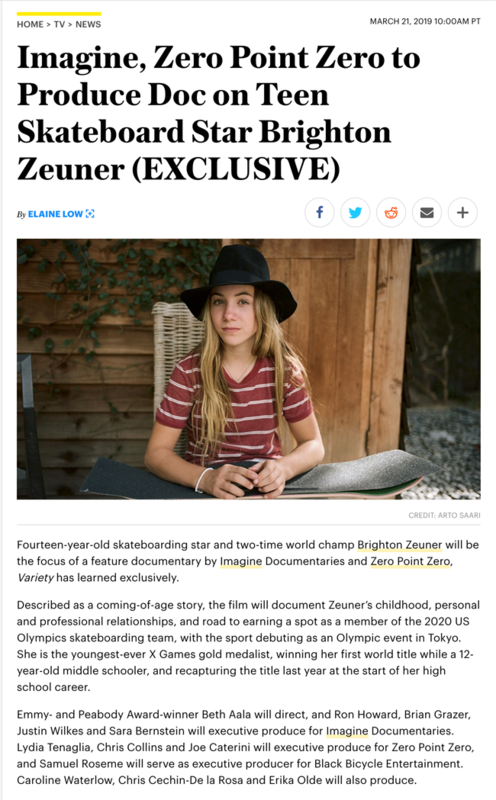 As if the announcement of the USA Women's National Skateboarding team wasn't enough excitement for the week, Variety announced today that pro skateboarder, Brighton Zeuner, will be the subject of a feature film documentary executive produced by Ron Howard and Brian Grazer with Imagine Documentaries. Pretty big news for women in skateboarding!